Building a custom home can be a wonderful experience. You get to create the space to your exact desires, so you get everything that you want. However, it is also a lot of work. You have many decisions that you need to make. One of the hardest rooms you will likely work on is the kitchen. 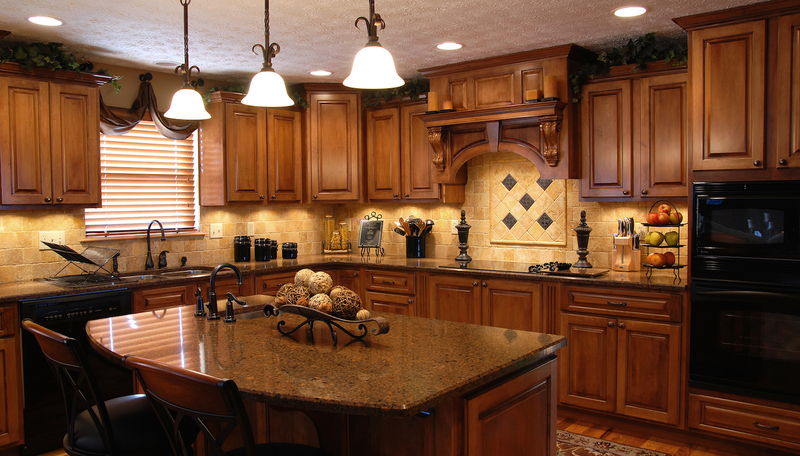 Your kitchen remodel plan should consider some of the following top trends. Texture is something that may not be often thought of in kitchens, but it is a recent trend. Adding in textures and using contrasting textures can be a great option to consider. Clean designs are becoming more common in kitchens. Simple lines and easy flowing details are creating a new traditional style. However, this new traditional style is usually capped off with some bold accents to keep it from being boring. Tearing down walls is becoming very popular. Open floor plans allow for open space without restricting walls that cut up the floor plan. Going with an open floor plan, though, require coordinating design styles between rooms, so make sure to keep that in mind. In the past, the kitchen was often used as the place to use bold colors. You could “get away” with it in there better than in other rooms. However, a move towards softer colors is changing kitchen remodel design. This includes using lighter woods and countertops. When you have the chance to get new appliances, you should go high-tech. This is something you shouldn’t feel bad about splurging on. They will pay off in the long run, and you will get a lot of use from them. Your design choices are personal. You should always go with what you like. However, if you like staying trendy, you may consider a few of these options when creating your kitchen remodel plans.